I was born a deep brunette. Well, I was technically born bald, but soon the dark chocolate color genetically predetermined for me grew in thick and long. Everyone in my family has dark hair; it’s just who we are. For 17 years, “snarky East Coast brunette” defined my identity. The summer before my senior year of high school, I took it a step further. As moody teenagers are wont to do, I dyed my hair jet-black from a box. This was my first foray into the magical world of hair color, and I was instantly hooked. Throughout college, I made my way across the color wheel, from auburn to fire-truck red to bright strawberry, enraptured by the physical and spiritual transformation every time. Much to my hairstylists’ disgust, boxed hair dye was my best friend, and I wielded it like an aspiring artist with a 10-cent brush. But then I grew up and moved to Los Angeles, where I decided that as an adult, I should probably turn my hair color over to the pros. Plus, I’d recently become dead set on finally going where I always swore I never would: blond. I went blond for the very first time a little over two years ago. After so many years of changing colors, I felt like I'd finally come into my own. Maybe the “blondes have more fun” axiom is true; maybe it’s just a tired cliché. But what I know for sure is that dressing up in this bold, blond identity has skyrocketed my confidence like a never knew it could. However, not all blond is good blond. And when your hair is as dark as mine, the struggle to maintain a natural, non-brassy look is too real. I’ve seen several professionals (already a recipe for inconsistent color), and I have never quite been able to achieve the cool-toned, blended look I’m going for. Orange hair just seemed like my cross to bear. But the other month, while cruising Instagram, I laid my eyes on the work of hair colorist Matt Rez. Matt is the new colorist to watch at Ramirez|Tran, the L.A. salon responsible for pioneering the coveted “lived-in” hair color trend (a lifesaver for us brunettes). Celebrities like Jessica Alba, Margot Robbie, and Sophia Bush swear by the salon’s techniques. Secure an appointment at Ramirez|Tran and you’re guaranteed the chicest, most natural custom blond in the world. Take a five-minute cruise through Rez's Instagram, and you'll understand why his work struck me. Rez specializes in his own unique version of balayage highlights. Traditional balayage is a foil-less technique where a colorist sweeps the lightening product over the hair to create a "graduated, sun-kissed effect," Rez says. This balayage technique creates a natural look that works well for those interested in more of a golden hue. But icy, cool blond is the look of the moment. Unfortunately, achieving such a blond with traditional balayage requires multiple sessions (meaning lots of time and dough). But Rez is able to produce a cool, blended look in a single three-hour sitting. He does this by combining babylights (a more delicate highlighting technique) with ultra-bright, bold ends. 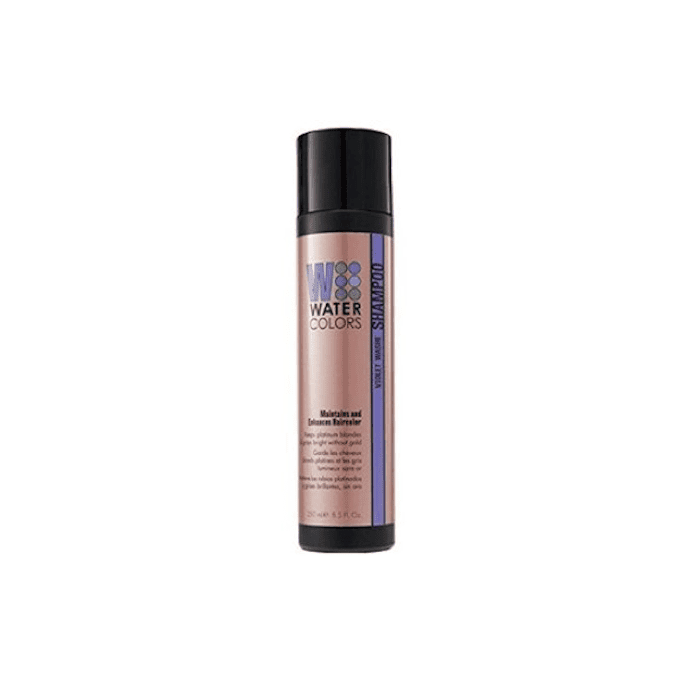 He treats and glosses the hair as he goes to keep it toned and conditioned. “My technique allows for me to get lightest ends possible, the gentler way,” he says. Eager to see this technique in action, I booked an appointment with Rez and arrived early on a Tuesday morning. It was surreal walking through the doors at Ramirez|Tran. Even as a beauty editor, it's not easy to get the hookup there. The space itself is stunning—white-walled and strewn with modern art. The styling stations are tucked away in cozy corners, making the place feel more like someone's home than a commercial salon. I sat in Rez's chair, and his assistants got mixing. Each colorist at the salon has up to three assistants, who help execute the colorist's vision as he pops around from client to client. Rez's vision for me was to create "a seamless, horizontal contrast of color from a medium-light brown base to baby blond ends." Translation: a perfectly blended lived-in blond. The goal was to create dimension with vertical separation of the highlights and lowlights. "This creates movement in the color," Rez says. There were also bands of three-month-old color that had oxidized into brassy tone. Rez promised to correct these. A brief note on brassiness: You might be wondering what causes the orangey tones that plague so many of us aspiring blonds. Brassy color is a result of oxidation, Rez explains. This is a chemical process that occurs when the cool pigments in permanent color fade, bringing out the unwanted red tones underneath. Too much sun exposure can cause oxidation. It can also result from color mistakes in the salon, like if your highlights are not lifted or toned to the proper level. You might also end up with brassiness if your colorist tries to lighten your hair color too many shades (one and a half, to be precise) with a permanent color formula. "I lift the hair color to a safe level," Rez assures, "enough so I do not [bring out] unwanted tones [and so that] we are able to take the color lighter in the future." Rez and his assistants delicately painted my highlights and waited for them to set. Then, I made my way over to the sink. Normally the bleaching process wreaks havoc on the hair, leaving it crunchy and damaged. (It's the price we pay for life as a blond.) But what I didn't know is that Rez had actually been treating my hair all along. His secret? "I swear by Olaplex during and after all my color treatments," Rez tells me. 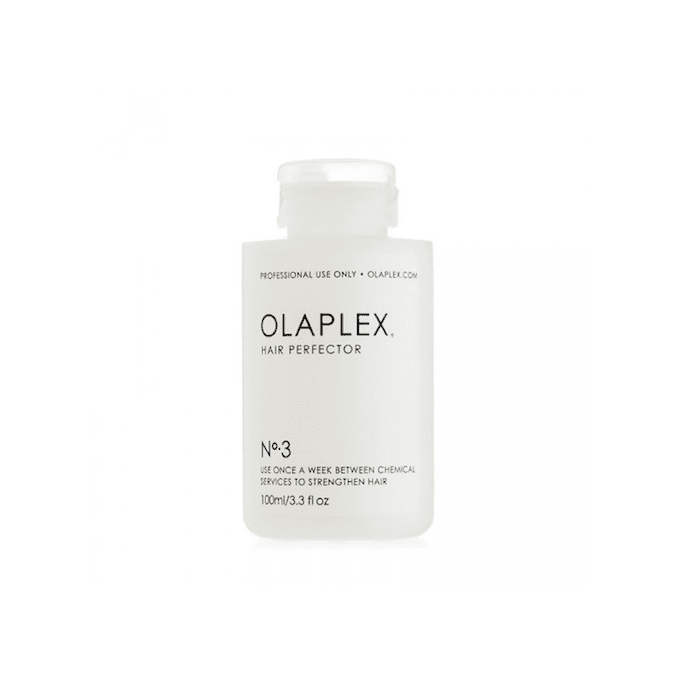 Olaplex is a treatment that multiplies the bonds of the hair, keeping it strong from the inside out. "It allows me as a colorist to push the envelope, with caution," says Rez. In other words, it's the secret to making his technique work on multiple hair types. Olaplex isn't just a post-color treatment, though; Rez actually mixes it with the lightening product in order to ensure a less damaging lift. A second Olaplex treatment is applied after rinsing out the highlights. Going lighter is a blessing and a curse," Matt says, "but Olaplex keeps the hair strong!" Toning down the color after lightening is the key to achieving a cool, natural result. But even before toning, everyone at the salon was already oohing and aahing at my transformation. I sat with my head in the bowl, giddy with anticipation. But no matter how skillful your colorist, blond color can still oxidize after you leave the salon. Luckily, there are things you can do at home to stave off brassiness. "Color-safe shampoos, typically low or no sulfate, are what keep the glosses and toners we use in the salon from fading," says Rez. "Purple shampoo used once a week or every two weeks help to keep the gold tones away." 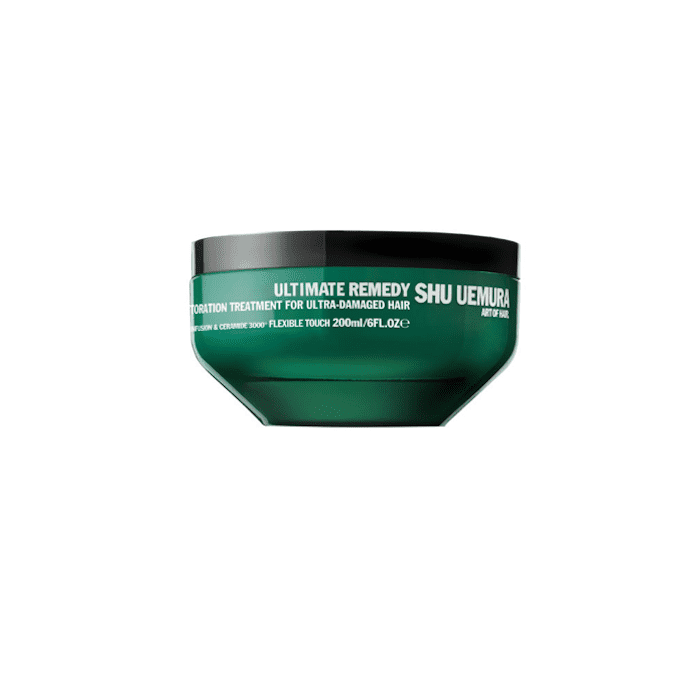 If you're dealing with red or orange undertones, try a green or blue-based shampoo. "The Watercolors line from Tressa is a great option," says Rez. By the end of my session, I'd been in the salon for about four hours, and I was dying to see the color. As stylist Keary Bledel blew my hair dry and waved it in prep for the final reveal, I was instructed to keep my back turned from the mirror. The hypnotic scent of Oribe's Dry Texturizing Spray ($44) filled the room, teasing me. But I didn't try to steal a peek. We all agreed: The transformation should be a surprise. It's difficult to describe the feeling of looking in the mirror, and for the first time, seeing the vision of yourself you've had for years. When I was finally permitted to face the mirror, all I could do was beam. I didn't even know my naturally dark hair was capable of looking so cool, bright, and blended. I combed through my hair with my hands to make sure it was real (not only was it blonde, it was also extremely soft—thanks, Olaplex). Tell us about the best hair makeover you’ve ever had in the comments below!